Hosting Website Template features a clean and neat design, which will be a perfect fit for bringing a sleek and professional presentation to your web project. The layout is built with the focus on details. A large hero area placed in the theme's header welcomes every user it. A ghost button on top of it invites the web audience for a deeper investigation of the services that your company provides. The main navigation panel features a drop-down functionality. To provide people with unlimited access to all of your site's content, it remains fixed-to-the-top of the page. The front page is spacious and well-balanced. A list of services, exclusive offers, and user testimonials are organized in a quick-to-scan manner. 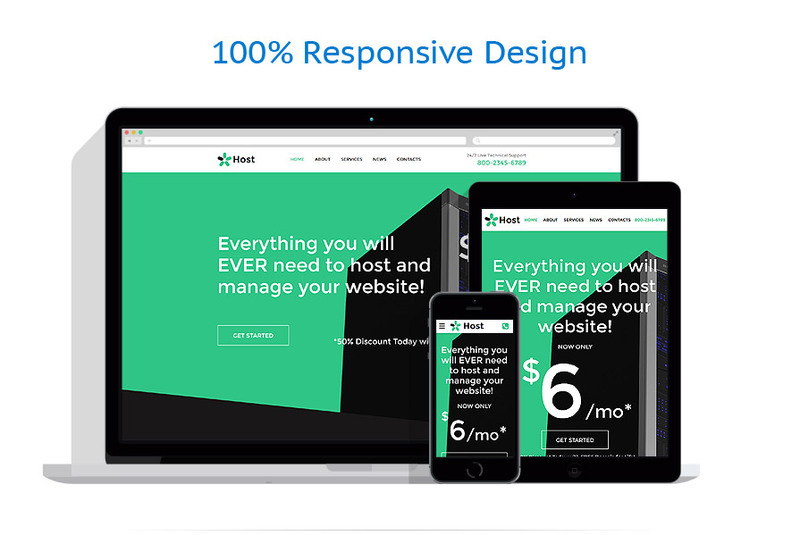 Use this theme for hosting, software, and business websites.